I’m a field service engineer for food packaging machines and not an automation specialist, but i can provide you with few hints. For all those automation systems to be effective, you need to first have a very clear and detailed mechanical plan with all details finalized. Once you achieve this, you should specify the motions involved, e.g. : linear or rotary. Each day have in mind the number and types of motors and actuators you will need(servo, ac single phase, ac 3 phase, pneumatic actuator). For each motors you will need relay contactors (for single speed discrete/on-off type motors like blower fans and liquid pumps), VFD for speed controllable ac 3-phase motors(a lot more like conveyors, liquid tank level control pumps or rollers).Servo motors need Servo drivers to regulate their precise movement. They’re your output devices, you will want your input devices to become set out. 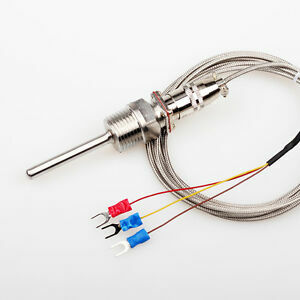 This is often level sensors, flow sensors, proximity switches as well as other devices as required. The main reason i’m stating out this routine would be to let you define the specifications required for your control system hardware requirements. All PLC manufacturers layout their product line-up depending on system complexity. Most PLC hardware is sold as reconfigurable rack chassis. Basically you have the CPU the actual master brain that’s supplemented with I/O device that can be slotted in like cards. Additional complex systems which needs servo motor may have servo card to connect with servo driver, communication bus cards like CAN-BUS, PROFIBUS and DEVICENET and sensor cards for special sensors like RTD temperature sensors and level sensors. So figure out you IO devices list, then get the necessary software and hardware needed. You may want additional hardware required for for fancy touchscreen technology HMI, line automation and internet based diagnostic and asset monitoring functions. That’s what sort of guy with mechanical background can approach complex automation problems. The solutions may vary determined by different manufacturer offering particularly if use beckhoff based systems. A good way to start is to work on existing machines so that you can learn the basics. Then go obtain a few catalogs from reputable manufacturers to understand what industry is offering. I suggest people to go through Omron catalogues. There is also a free of charge automation web based course that may coach you on the baby steps needed. You need to be in a position to design complete PLC systems: architecture design, hardware specfications and selection, logic narratives, logic programming, connection drawings. Everything. Perhaps you simply need additional training around the specifics of each piece of equipment, on how to program or properly connect them, but it is not rocket science, an excellent mechanical engineer should probably excel on this as any other engineer. The key aspect of control system design would be to comprehend the process you’re going to control along with the goals you need to achieve.